How to convert AVCHD footage to iPhone 4 on Mac? Home » How to convert AVCHD footage to iPhone 4 on Mac? If you are a total iFan who owns MacBook Pro, Mac Desktop, iPod, iPod Touch, iPhone 3G, etc, it’s time for you to have an iPhone 4. It is definitely a good idea to take advantage of the iPhone 4 display. Why not run HD videos on iPhone 4? The 960-by-640 backlit LCD display boasts a pixel density of 326 pixels per inch, making it the highest-resolution phone screen ever. Incompatible formats? It is out of question! Pavtube iMedia Converter helps you make everything ready for iPhone 4 playback: HD videos of versatile formats, DVDs, and even blu-ray movies can be ripped to iPhone 4. This guide tells you how to convert AVCHD to iPhone 4 video with the ultimate iPhone OS 4 converter for Mac. You can free download it by clicking the link of iPhone 4 Converter for Mac. Please note the trial version works with Intel processor only and puts a watermark (Pavtube’s logo) on the screen of created videos. Step 1. 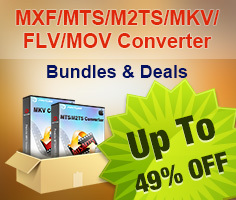 Run this iPhone 4 Converter for Mac, and load AVCHD files. Click the pull down menu of "Format", and then tap "iPhone" preset. There are multiple formats specialized for iPhone 4 videos, you can select any one of them to meet your needs freely. 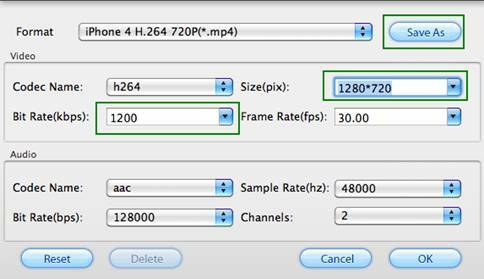 To maintain best quality for iPhone 4 video, you may choose “iPhone H.264 720P”, and the TiVo shows will be converted into iPhone 4 720p HD videos. Click "Convert" button to start ripping AVCHD to iPhone 4G videos. The popup ripping window of this Mac AVCHD to iPhone 4 Converter will show you conversion progress, time elapse, left time, generated file size and estimated file size clearly, so that you can control your time and storage space of your iPhone 4 in a proper way. Once the conversion is completed, you can click “Open” button at the bottom of the main interface to get the final output iPhone 4 videos. Just sync the files to your iPhone 4 with iTunes for entertainment. Tip 1. Adjust audio and video quality and file size. You are encouraged to use the default settings, but you may customize the output format when it is necessary. Simply click on “Settings” button and adjust codec name, bit rate, aspect ration, frame rate, sample rate and audio channels. Generally, higher bit rate results in higher video quality and bigger file size. If you’d like to use the same settings for future conversion, simply click “Save As” and save your settings as a new profile. When the AVCHD to iPhone 4 Converter is lunched next time, you can click on the “Format” bar find the new profile under “Custom” tab. Tip 2. 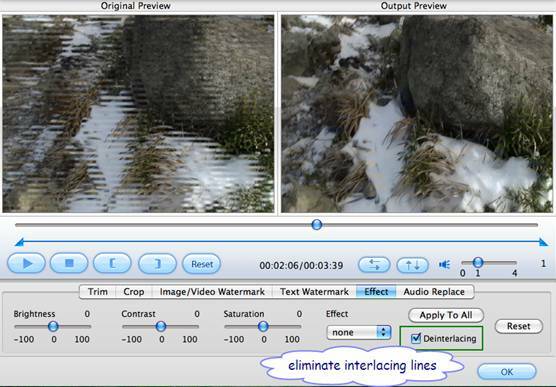 Eliminate the interlacing lines. Footages shot by some camcorders may ends up interlaced. Juggled edges and ghosting occurs when you preview the AVCHD footage. In that case you can set deinterlace effect to eliminate the combing. Follow Edit->Effect->Deinterlacing. If you’d like to de-interlace all the selected items, please click “Apply To All”. Tip 3. Join AVCHD files together as iPhone 4 video. To join multiple AVCHD video clips together, just back to the main interface and check the box of “Merge into one file” before converting AVCHD to iPhone 4 videos. Tip 4. Learn more tech specs of iPhone 4 and See more useful info about iPhone, iPad and iPod.